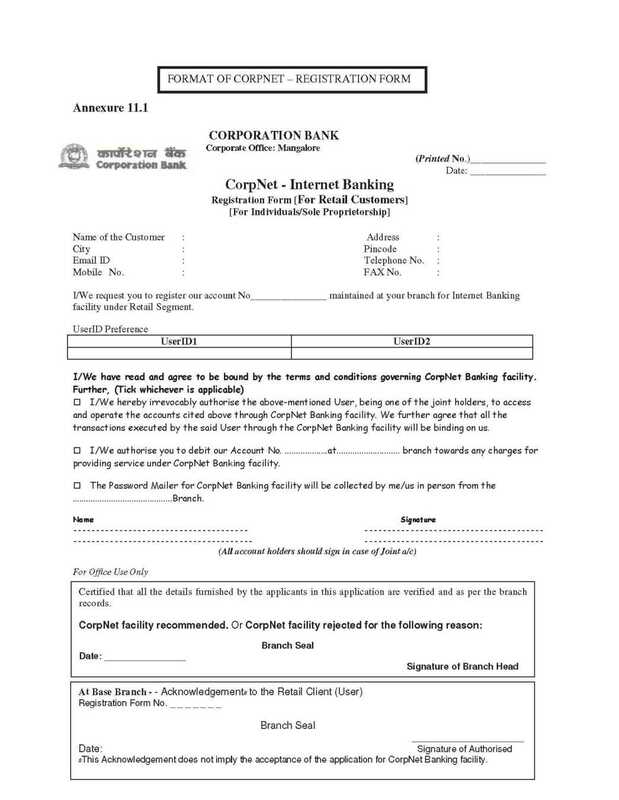 If you will apply for Internet Banking in Corporation Bank the benefits of net banking you can get which I have mentioned here. Information about local/outstation cheques/bills sent for collection, discount or purchase. Information about the cheques issued by the customer for payment. And most of the service is ALERTS in which you can register/Cancel for various alerts being provided by the bank.